On Sunday I wrote about how much pain my skin was in while in hospital (and throughout the previous two weeks). My legs were the main source of my pain - they were swollen, inflamed, hot, weepy, suffering abrasions and scaly. I have heard of combination skin, but my body takes it to the extreme! I am out of hospital now, at home, and not taking any painkillers or antibiotics, not using any steroid cream. My body just has to do its thing unaided. And it feels great. I wrote on Facebook last night: "It's so nice to be home. It's so nice to have pain-free skin". When I was in pain, I felt very aware of my skin. The thuds, prickles, throbs and heat. Now it's not sore, it's like I can't feel anything. There is no pressure when I stand or walk and no irritation from clothes or blankets. There has been minimal overnight scaling, and my legs don't feel dry. I feel more agile and have more energy. It's like I have got someone else's skin. Pain free, smoother and paler. I could be the poster girl for an exfoliation product. Is this what it feels like to have normal skin? I guess the healing and rest has meant my skin has renewed itself so well, and right now, it has no memory of pain. This was the only personality that I could see in the hospital. 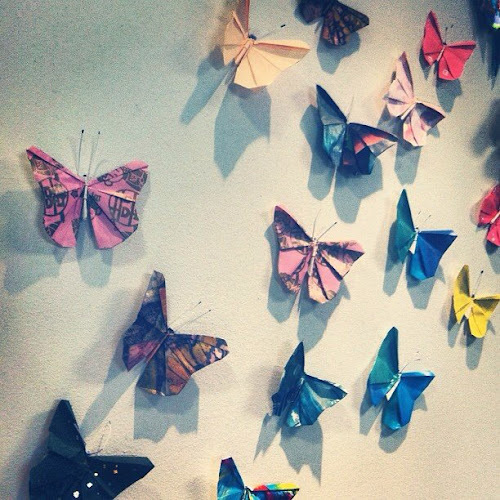 A series of origami butterflies on the reception wall of the transit lounge. I was so happy to see it, I asked the staff if I could take a photo. Most of the other stuff that adorns the walls are signs about handwashing and patient trials and insipid paintings that ate probably purposefully selected to create as little mental stimulation as possible (ie to relax patients). Butterflies are a symbol of growth and renewal. The shedding of the cocoon allows the caterpillar to flourish into something beautiful and free. A bit like the process my body experiences every day. It's a new day and I can't wait to live it. 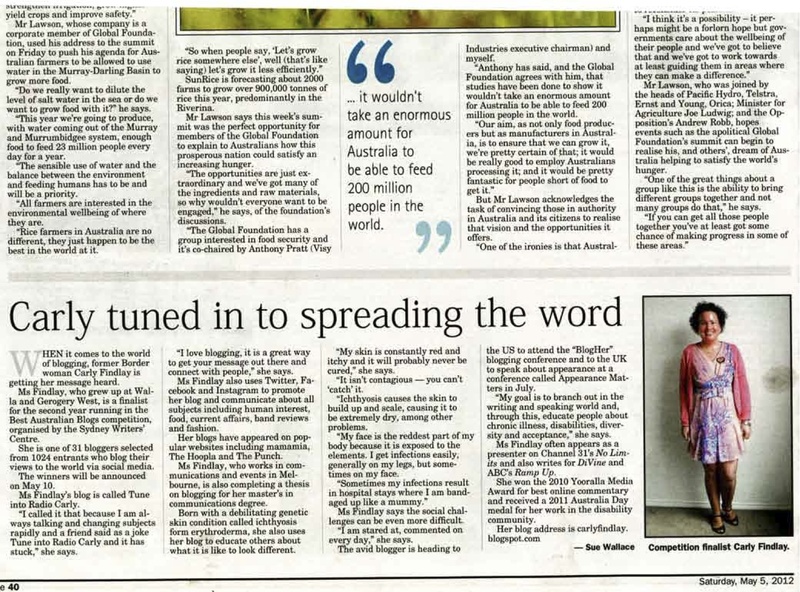 PS: I saw a brilliant article about online support received during hospitalisation - the virtual communities helped the writer connect with the outside world - similar to how I felt. It's written by Brigid Delaney, you can read it here. Hi Carly, glad to hear you're feeling better. Can I ask, and I'm sorry if this has been answered elsewhere and I didn't see it, but how often does your skin get really really painful and how often does it renew itself? Hey Cat fortunately I don't get so sore to the point of hospital often - that's generally 1-1.5 years. I get very sore about once every two or three months, but am generally ok in just putting up with mild pain. The average human sheds their body's skin in 28 days, my skin renews each day. However, the hospital stay and strong treatment makes me feel like my skin has renewed differently to the every day - the infected skin has shed, leaving smoother, less sore skin. Sorry if that's tmi!